It’s been a pretty gloomy summer in Meath, it’s time to turn the heating on and it’s not working, here are 7 reasons boilers breakdown from the experts and boiler services Meath. The one thing we will firstly point out is that your boiler is very similar to a vehicle. If you parked your van or car in the garage for 6 months and then went to drive it, would it start? Not necessarily so. If you didn’T take your vehicle for an NCT for 3 or 4 years, would parts wear and break? Yes they would. The diaphragm valve may be broken. The diaphragm valve regulates or stops the flow of liquids or gases within the central heating system. You may have an airlock. Airlocks usually disrupt the continuous flow of water inside your plumbing system. You may be able to fix this yourself, click here for information on solving air locks. Your boiler’s motorized valve may have failed. If you haven’t used you boiler for a while the valve may have got stuck or clogged. A sign of this is that your heating and hot water is on when you don’t want it or it’s off when you have it on. One of our expert boiler technicians can replace the valve or fix it where possible. It is pretty straight forward for our experts to do on most models and makes of boiler. A thermostat problem, the thermostat controls the temperature you require your boiler to operate at. We can replace the thermostat on all makes and models as required. A leak in the heating system or boiler can cause it to fail. Our boiler engineers can locate the source of the leak and advise you of the best solution. Your boiler is making banging and or gurgling or noises, this can be one of two problems, firstly low pressure or secondly air in your central heating system. One of our boiler technicians can resolve this for you. A loss of pressure, when this happens there is usually a leak from the pressure relief valve. This can be a direct result of the expansion vessel failing. We have replaced lots of expansion vessels in our time. It is worth mentioning also we often get asked, why is my pilot light always going out? There can be a build up around the pilot light which can be addressed when you have your annual boiler service or it could simply just be a draught blowing it out. Over the many years we have been trading we have found these are the most common 7 reasons boilers breakdown if they have been laying idle. Nowadays all manufacturers advice that you have an annual gas boiler service or oil boiler service to prevent the likelihood of this occurring. Our prices range from €55-€79 totally depending on the modal and make as some take more time to service correctly. 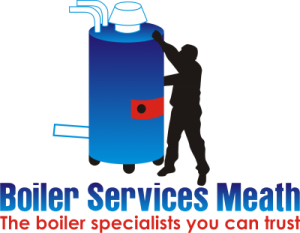 Call the experts at Boiler Services Meath 046-9011255 to arrange a convenient time to get your boiler service today!